This system is used by thousands of Aussie homeowners who want to do the job themselves, the RIGHT way, and SAVE money. Everything you need to kill termites where you find them, and protect your home. 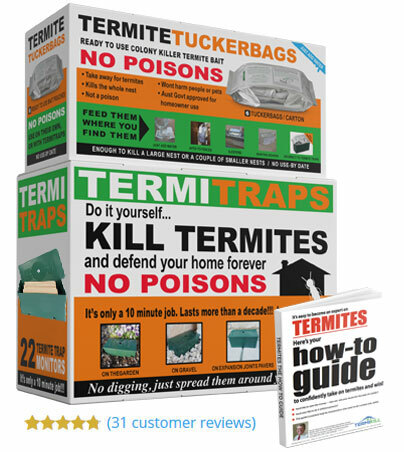 The Termikill Colony Killing Systems includes a pack of 12 Termitraps and a pack of 6 Termite Tuckerbags which are prefilled with bait that’s deadly to termites, but won’t harm you, your family, or pets. 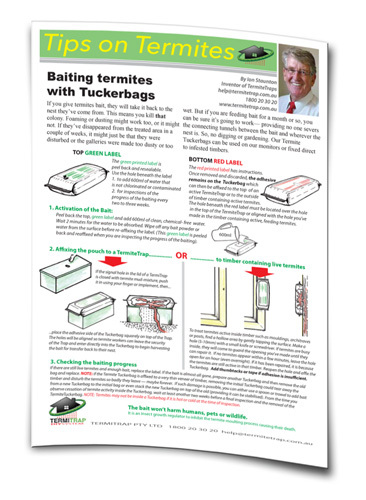 You’ll also receive full easy-to-understand instructions which show you where to place your traps and what signs to look for to detect termite activity. Created by an Aussie entomologist and trainer of our Pest Controllers. 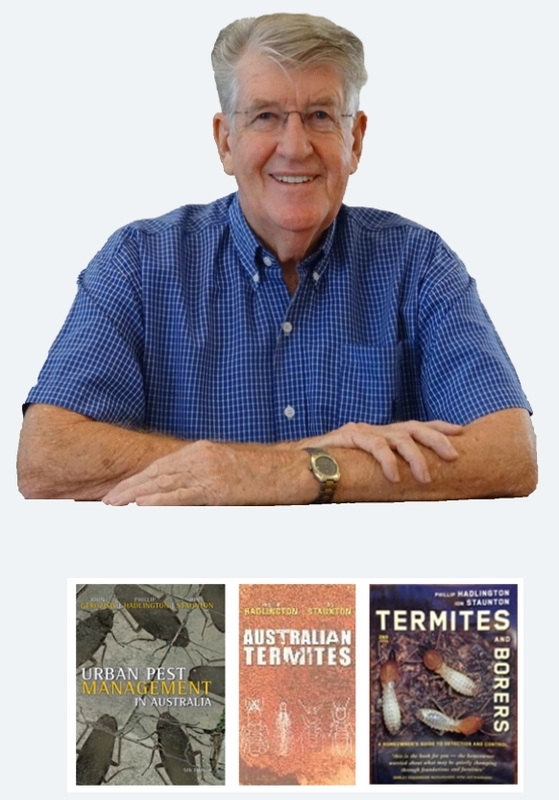 Staunton is one of the most respected professionals in the Australian Pest Control industry with over 50 years experience as a pest controller, entomologist, and teacher of pest technicians at TAFE. You could say he ‘wrote the book’ on pest control in Australia. In fact he wrote four! These books are still used as the standard texts by industry professionals. He was the first person in the world to create a DIY termite control system for homeowners. 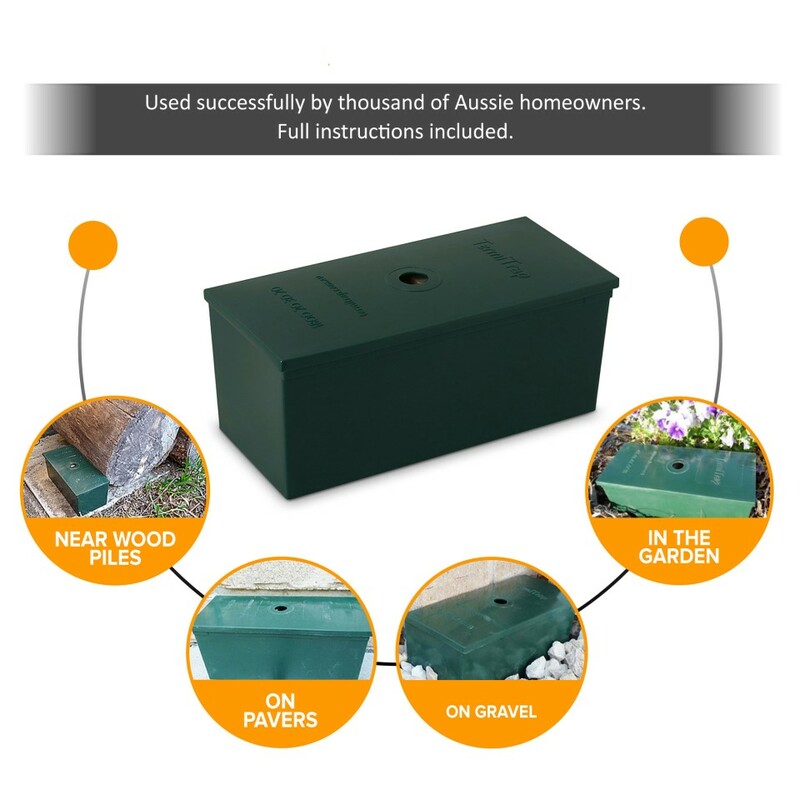 Australian designed for Australian conditions, place Termitraps on your garden, on pavers, over expansion joints about 3 metres apart. These are the only traps in Australia that sit ON the ground rather than IN it. 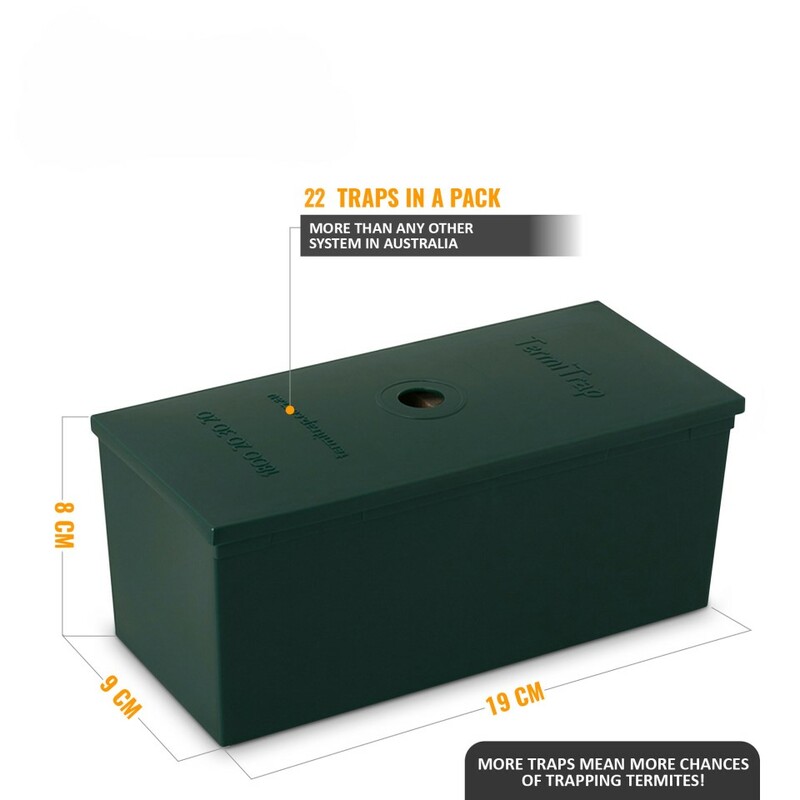 Experiments and studies have proven that traps on the ground are a more effective at intercepting termites, and 22 in a carton will give you more chances of success! Putting them around is a 15 minute job. Once they have found the trap its the termite’s instinct to block out the hole at the top of the trap with their ‘mud’ to block out light and preserve humidity. This is your cue to add bait! 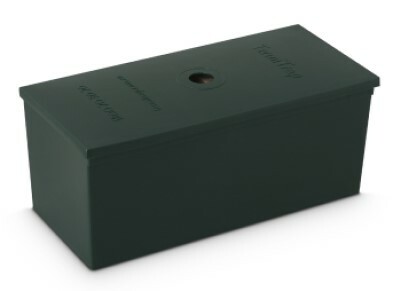 You place a pre-filled Tuckerbag on top of the trap and let the feeding take place. The termites take the bait back to the next, killing the colony. The bait wont harm you, your family, your pets, wildlife or the environment! 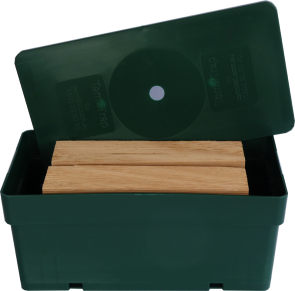 These pre-filled ready to use bait packs can be affixed wherever you find termite activity. 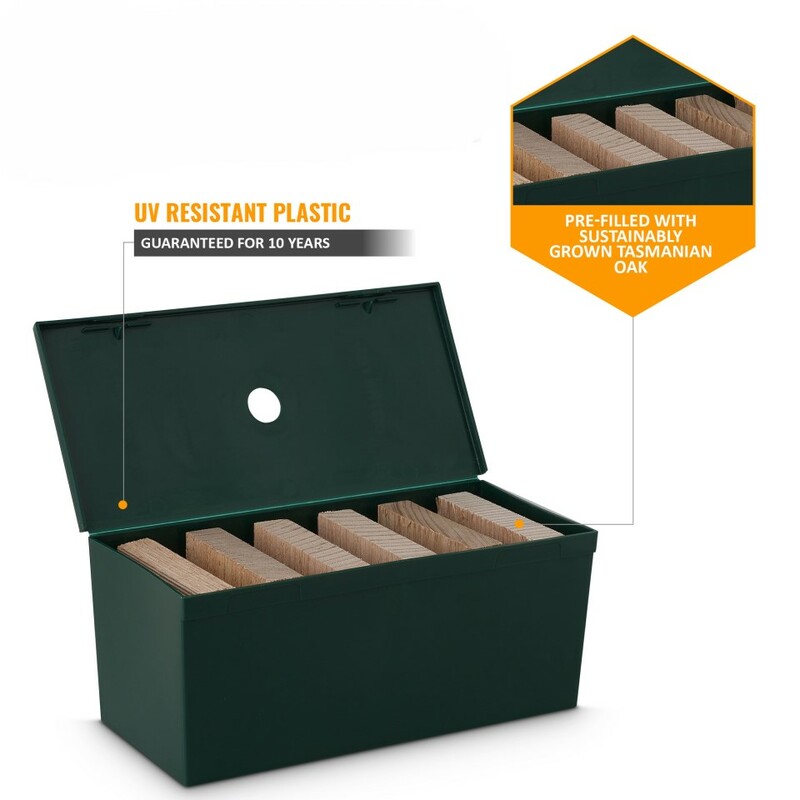 They’re designed to fit directly on top of a Termitrap, but they can also be adhered direct to sleepers, skirting boards, window frames, and fences. The application is simple. You peel back the label, add water and its ready! The Tuckerbags have no use by date, so will last in a dry shed indefinitely. Thanks for the advice. The baits worked brilliantly.My mother had twice called in the poison termite experts. However, the white ants came back within weeks and more damage occurred. I’ll be honest I had considerable doubts your system would work. It seemed counter logic leaving the white ants to carry on eating undisturbed for weeks. It took almost two months until no more bait was being taken, but there was no extra damage white ants focussed on the bait. I re-filled the bait bags four times before they stopped. – a great relief for my mother. Just wanted to let you know that I used your colony killer termite bait a few years ago now with excellent results after nine weeks of baiting. We had a huge infestation and the house was literally falling apart around us. Ion was wonderful with his guidance and help. The termites built a huge nest around the bait in one of our bedrooms and I had to hold my husband back from trying to destroy it as he didn’t think the bait could be working. Amazingly just as Ion predicted after about 9 or more weeks suddenly there were no more termites! We have had no problems since,. Many thanks to Ion ! so glad we were able to achieve great results without using highly toxic chemicals…Awesome! Some are cheaper. Why choose this? 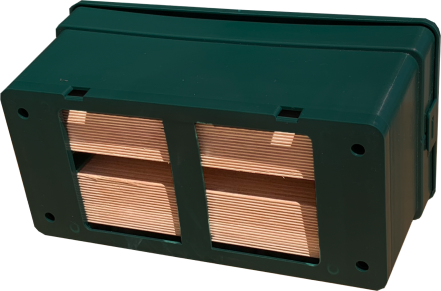 Since the original patented Termite Trap came on the market over 10,000 homeowners have successfully used the system to eradicate termites. The active ingredient uses the biology of the termites to eradicate the colony. No need for harmful chemicals that linger in the environment. The creator is an Australian entomologist. The product has been developed based on over 50 years of experience in the field. It’s made in Australia for Australian conditions. Unlike some of the alternatives, all our products are made in Australia from locally sourced materials. The plastics are UV tested and guaranteed to last 10 years.